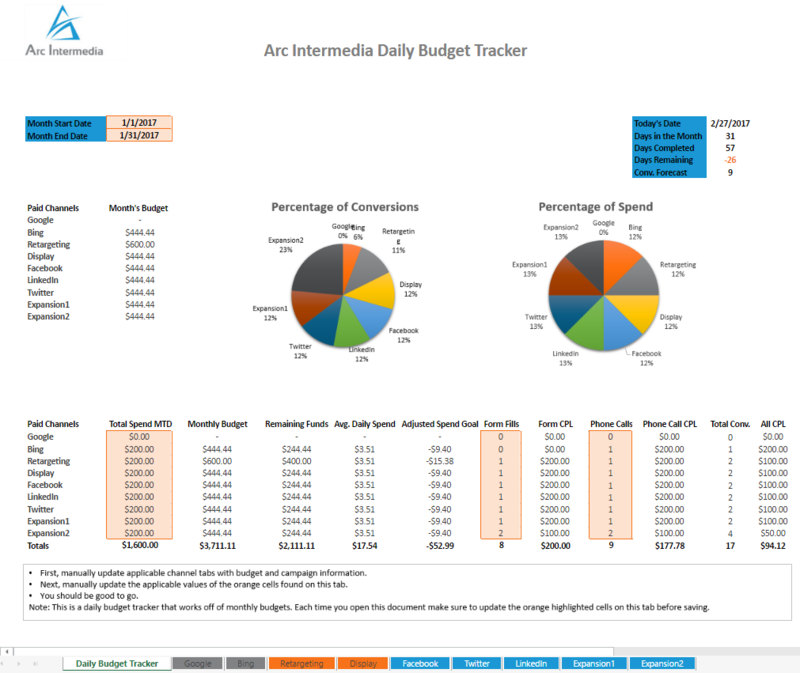 Do you struggle to keep track of your digital ad spend? Are you responsible for multiple campaigns, on multiple platforms? This tool gives you the ability to compare all your campaigns on a central dashboard or review individual efforts for Google, Bing, retargeting, display advertising, social media, and more. Track spend, conversions, and success. Get it now! The tool will be emailed to you upon submission.